Airpods Strap is designed for Apple Wireless Earphone - iphone 7/7plus, features Soft Silicone Sports Lightweight Durable. How to prevent loss and protect ? JUST the AirPods Strap can help you! Designed exclusively to all users Ideal to stop you losing your AirPods. Keep it in place around your neck, in your pocket, or anywhere you can hang a strap. 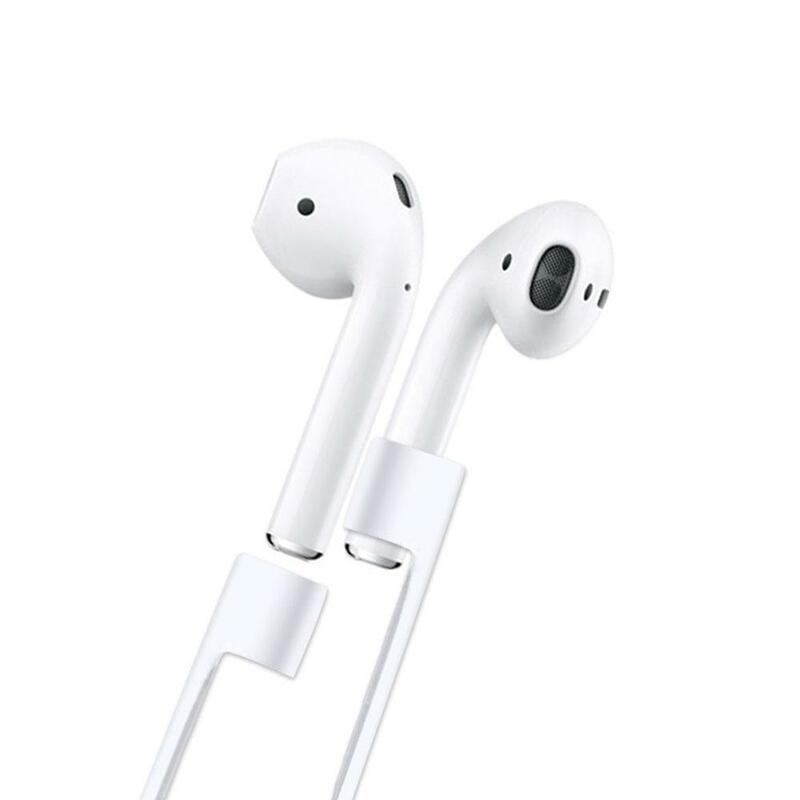 Apple released a wireless headset AirPods, when wear will be played, when removal will be suspended, is so cool! How to prevent loss and protect ? JUST the AirPods Strap can help you! • Air Pod Strap will make sure that your Air Pods are always by your side. I spend my free time bike riding and bouldering. Having these straps have definitely saved me from losing one of my AirPods on more than one occasion. Definitely worth the money! not worried about AirPods slipping out. Length is perfect. Finish is pleasant. Cord wraps around case and stays wrapped with grooves in each end. Cord unwraps without memory or tangling. Terrific product. Works and fits the airpod tip great. No bulk issues. Hardly notice it's there. Keeps me from worry that I might loose them. very light weight! second purchase for my son at first didn’t see a need but after haveing to search for an missing AirPod onboard after a flight . He borrowed my AirPods strap for the return . excellent product with the unknown advantage of being water proof. survived a wash cycle in a washing machine and are still working perfectly.